5 Reasons: Why Do You Need A 29er Mountain Bike? Usually, the mountain bike has larger wheels than the average road bikes. Larger wheels provide a tremendous rolling resistance in the bumpy trials. Once upon a time, almost all the mountain bike came with standard 26-inch wheels. But time has changed, and now there are variations in the wheel size. The 29er is one of the most popular mountain bikes at present for which most of the people are going. You may have a question in mind why a 29er mountain bike rather than the other variations? If you are searching for the answer, then you are in the right place. The Best Way To Why a 29er Mountain Bike? Usually, the mountain bike has larger wheels than the average road bikes. Larger wheels provide a tremendous rolling resistance in the bumpy trials. Once upon a time, almost all the mountain bike came with standard 26-inch wheels. But time has changed, and now there are variations in the wheel size. The 29er is one of the most popular mountain bikes at present for which most of the people are going. You may have a question in mind why a 29er mountain bike rather than the other variations? If you are searching for the answer, then you are in the right place. We will discuss the 29er mountain bikes and how they affect the performance on the trails in this article. 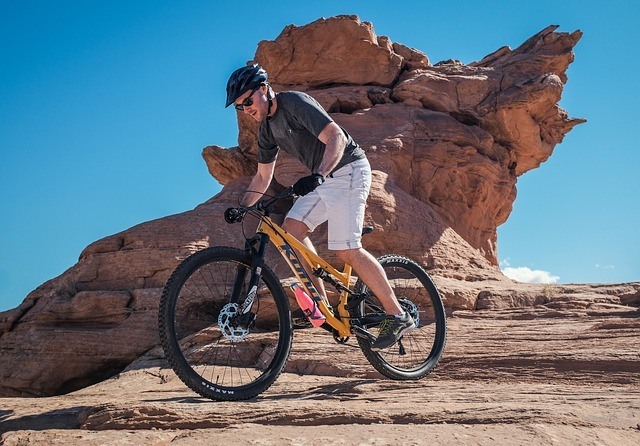 After reading this article, you will able to understand the features of the 29rr mountain bike better, and it will also remove all your confusion about the 29er mountain bike. What is a 29er Mountain Bike? The 29er also known as two-ninersis the common name of the mountain bikes with 29-inch wheels. They come with a 622 or 700 mm inside rim diameter wheels and provide high performance on the off roads. You will get more stability and momentum as well as better traction with these bikes on off-road. The 29-inch large tire lessens the air pressure and helps to increase the ground contact which helps to provide a comfortable ride for the bikers. Nowadays more and more people are going for the 29ers rather than the other varieties because of its optimized performance. Currently, the 29er mountain bike is dominating the bike markets because of its impressive performance on the bumpy trails. The 29er mountain bikes make mountain biking easier and enjoyable. As soon as you start riding a 29er mountain bike, you will notice changes in the bike traction provided by the bike. The 29ers have larger wheel diameter. As a result, it lowers the air pressure and helps to increase the ground contact. As a result, you get better traction which allows running smoothly in all kind of trials including dirt, rock, and muddy condition. On the other hand, the wheel size will give you a perk at the time of climbing and cornering. You will be able to climb on the mountains by providing less effort. The 29ers mountain bike tires are optimized for providing better momentum. At first, the mountain bikes will have lower speed because of less rolling friction. But as soon as they got better speed they will role more efficiently as well as providing the better momentum for keep riding the bike. You will be able to ride faster without giving extra efforts. The diameter of the wheel has a significant impact on the durability of the tire. The slim wheels run on higher tire pressure than the broader wheels which decrease the possibility of the getting flat in the middle of a ride. The 29ers mountain bike comes with narrower wheels which usually doesn’t flat much as like as the other variations. However, other factors such as weather and roads may affect the durability. 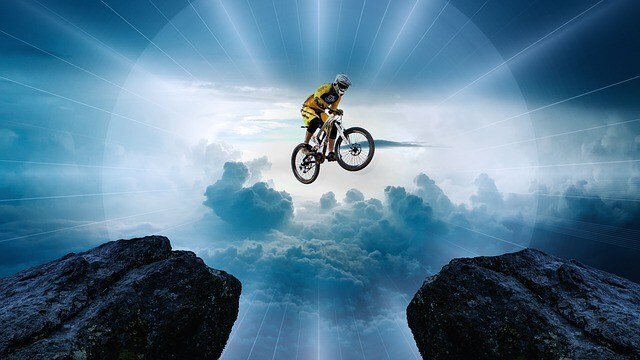 When riding on the mountain, you will have to face a different kind of obstacles, and the 29ers bike will provide you excellent assistance for it. The 29er bikes have higher “attacking angle,” which help you to move smoothly over the obstacles. The more significant wheels efficiently roll over the challenges of different size without impacting the performance of the bike. At the first few minutes it will be harder for you to balance on the bike, but as soon as you get the proper speed, you will get better performance with the 29er bikes compared to the other variations. On the other hand, the giant wheel of the 29ers helps to absorb the bumps and little obstacles of the road without affecting the performance. As a result, you will be able to keep moving without decreasing the speed. The 29er is taller than the other variations of the mountain bikes. As a result, it will be an excellent choice for the tall riders. But the smaller riders may feel uncomfortable with the bike. The taller rider will be able to enjoy the best from the 29er mountain bike. You can quickly drive the 29er bike with average height. But if your height is less than 5.6, you better shouldn’t go for the 29er mountain bike, as it will be harder for you to control the balance on it. The larger wheels are not as fast as the other variations of the mountain bikes. The 29er bike has more significant rotating mass which can cause slower acceleration at first. But as soon as you get better speed, you will be able to run more efficiently. On the other hand, the 29ers have a little bit extra weight on the rim and frames of the bike are larger. As a result, you may feel a bit less steering power on some points. All the variations of the bikes have some disadvantages, but when compared to the other variations such as 26 inch, 28 inches, etc. the 29er bike is a better choice. You should go for it without any confusion for better performance.